VMware this week is positioning its NSX software defined networking platform as a cross-cloud and hybrid cloud management tool, marking a new target area for the company’s fast-growing virtual networking product. During keynotes at VMWorld this week in Las Vegas, VMware executives demonstrated technical previews of how NSX can be deployed in customers’ on premises data centers and in the public cloud and be used as a hybrid and multi-cloud management platform between them. Guido Appenzeller, VMware’s CTO for its Networking and Security Business Unit, says NSX will be integrated to work across public cloud providers including Amazon Web Services, Microsoft Azure, Google Cloud Platform and IBM’s SoftLayer. The move by VMware to position NSX as a hybrid cloud management tool is a new position for the company. Thus far the most common deployments for NSX have been around security, centralized visibility of network management, faster provisioning of network resources and enabling application portability. Security: By having a software management platform for controlling networks across private and public clouds, users get deep visibility into what’s happening on that network. NSX’s micro-segmentation capabilities let customers establish granular controls about what traffic is allowed on various software-defined networks that are spun up. By deploying instances across multiple clouds (on premises, AWS and Azure, for example), VMware hopes to let customers be able to more easily migrate applications across those environments. NSX acts as a network overlay, meaning that it can work atop any routing and switching componentry – whether that be in an on-premises data center or in the public cloud. 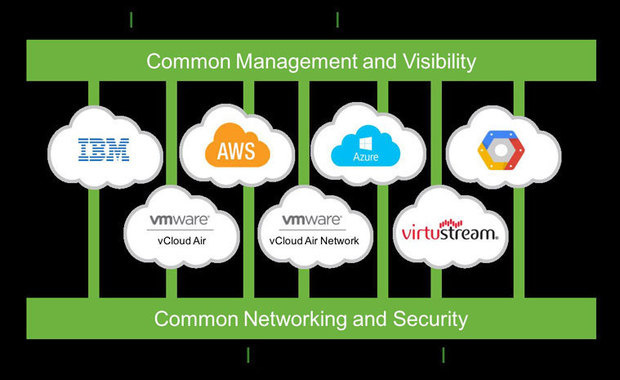 As more workloads move to the public cloud, having NSX as a cloud management tool allows VMware to remain relevant. “It’s a strategic play to keep control of the customer workloads,” he says. NSX, he says, can “flatten” the network by providing a common networking platform across private and public clouds, or across multiple cloud providers. 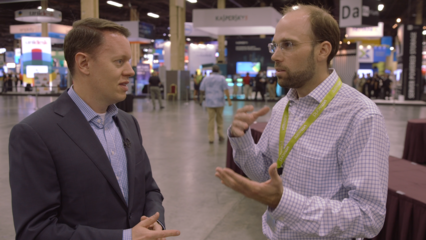 Ferro believes NSX’s ability to give customers the choice of deploying to multiple cloud platforms could resonate. “Enterprises don’t want to make a decision of going all in with one cloud provider,” he says.